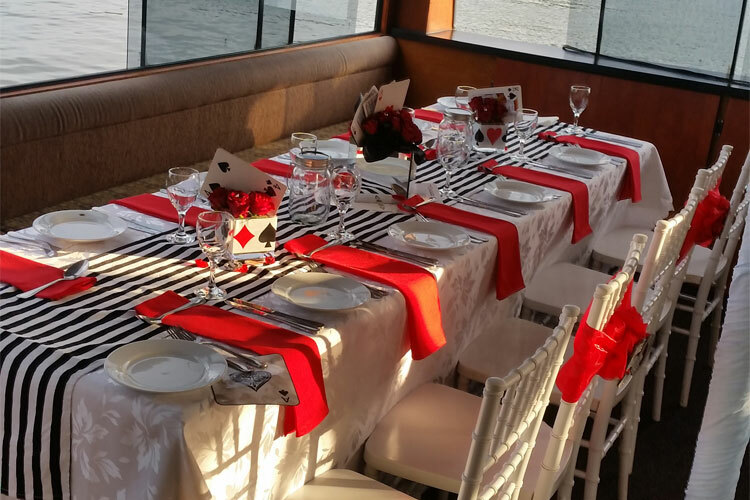 We do provide a bar facility on board, of which you can either run a cash bar or an account for your guests. 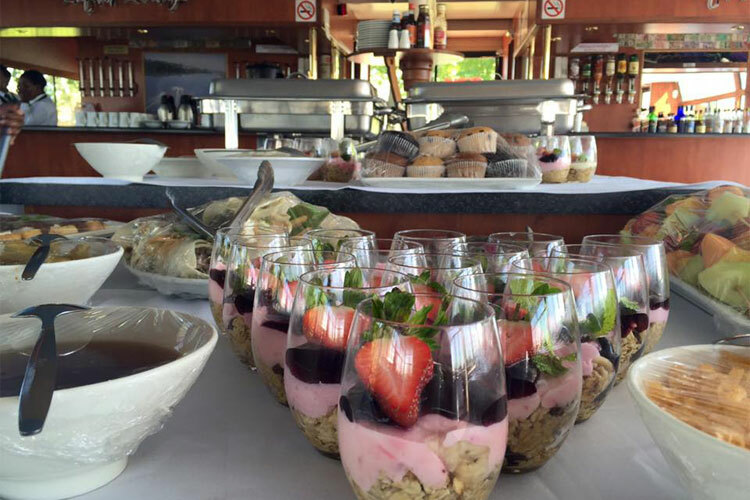 Essentially the end price per person will be determined by the number of hours you book and the menu you choose. 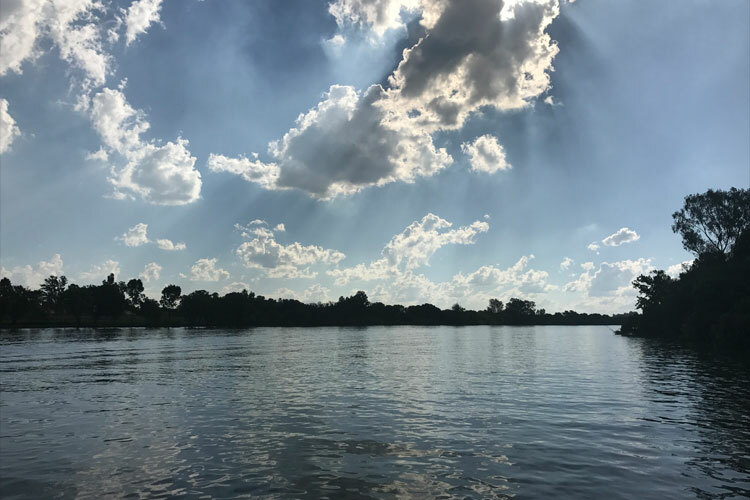 Please take care, generally there is a minimum rate required for groups less than 40 guests. 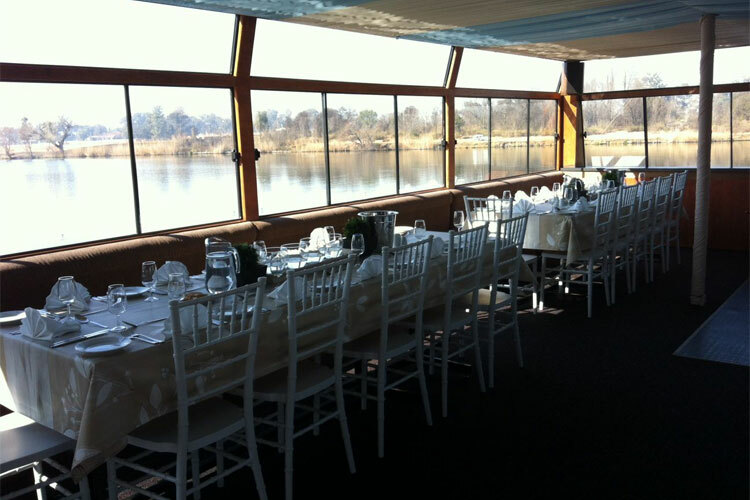 Our peak season (November & December months) the minimum rate required applies to groups less than 50 guests. 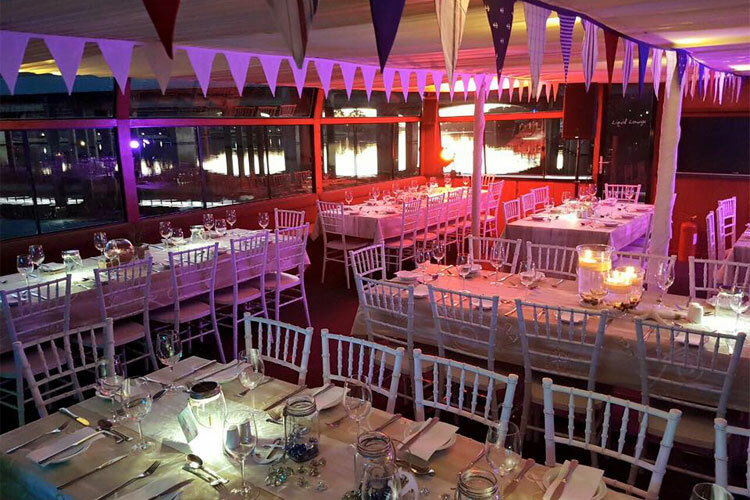 We do provide a snazzy beige & white standard set up of the boat. We don’t believe you’ll require any additional décor but this is still an option for you. 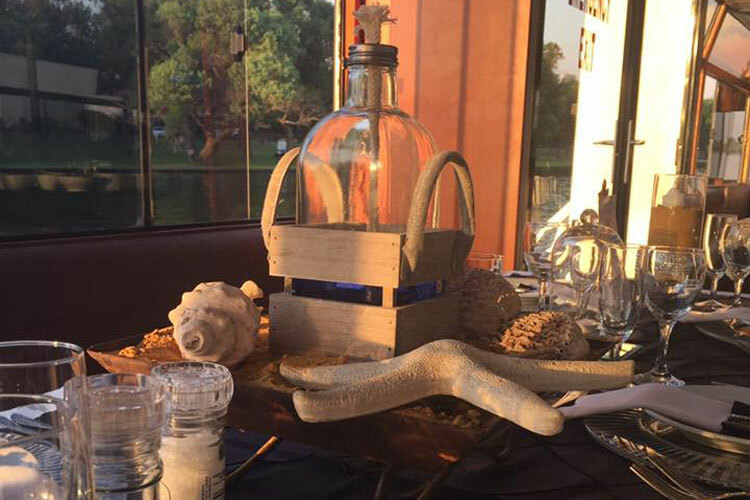 We can put you touch with our local décor company, or you can arrange your own. 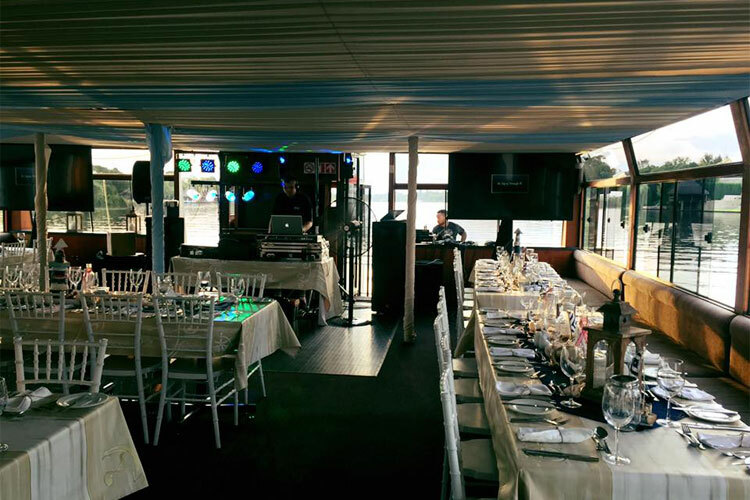 We do provide background music throughout the cruise, however if you anticipate a dancing crowd, we recommend a DJ. 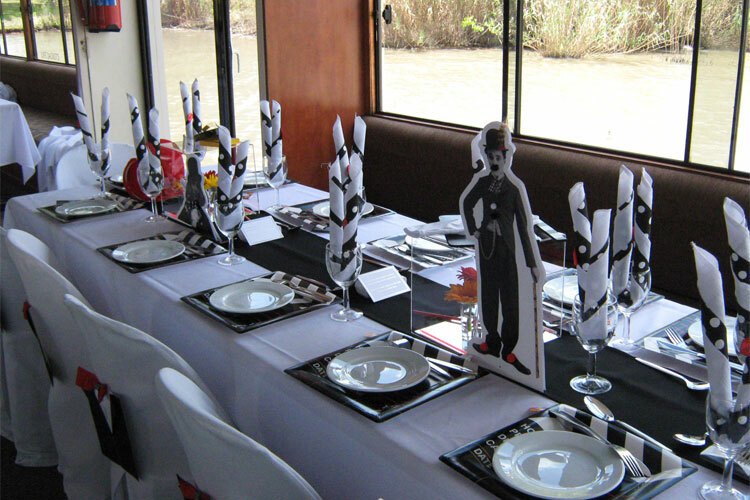 We can arrange one for you at R4000. 00 for the function. 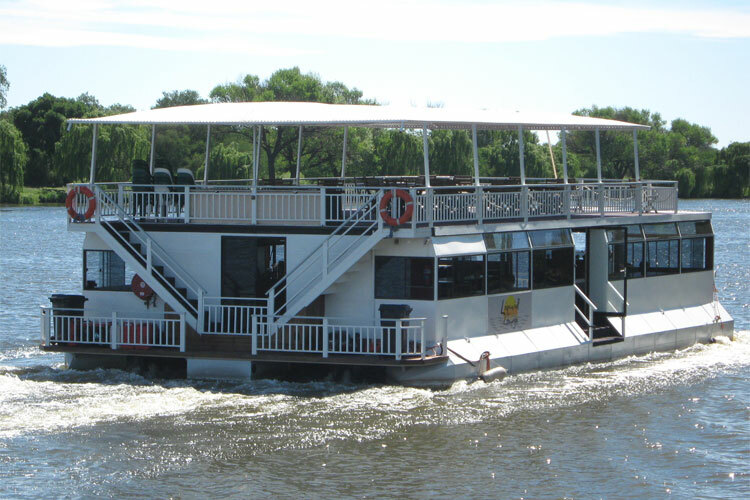 For the best Vaal River cruises, book a cruise with Liquid Lounge today. 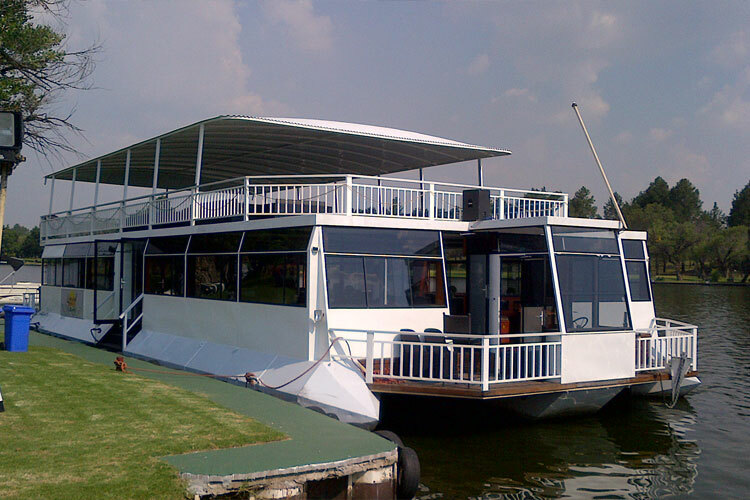 We offer memorable boat cruises aboard our luxurious river cruiser in the Vaal Triangle. 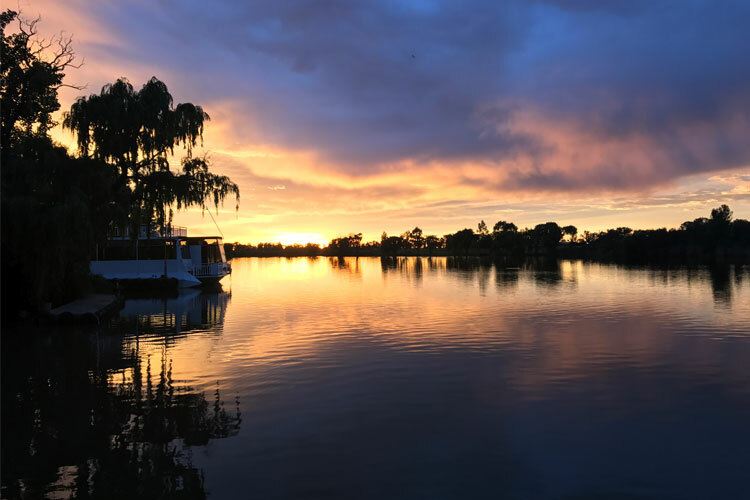 Cruise down the beautiful Vaal River and enjoy the spectacular scenery with friends and family members, while being spoiled with fresh drinks and deliciously prepared food. 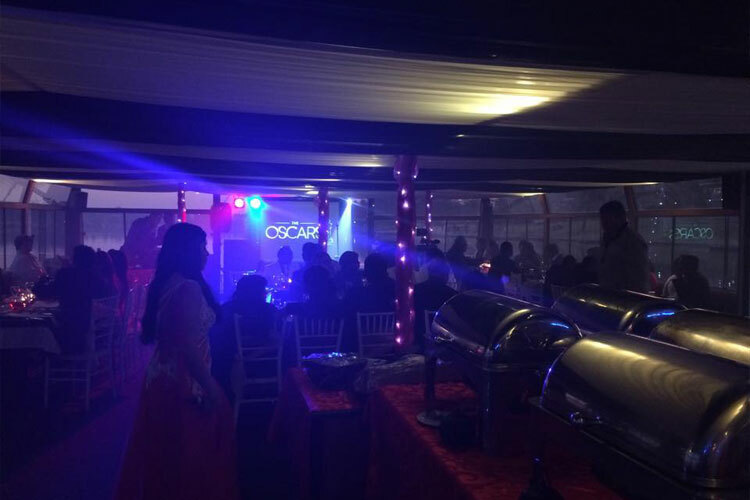 Luxurious facilities and our professional team will attend to your every need. 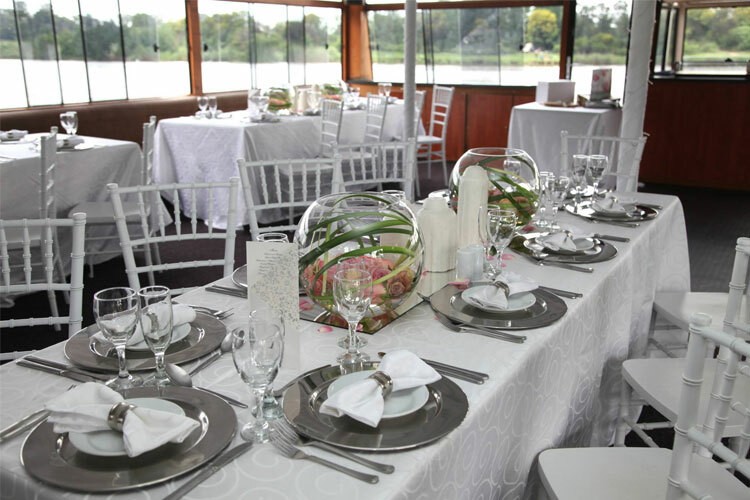 Book your next function or Sunday Lunch aboard our popular River Cruise boat today. 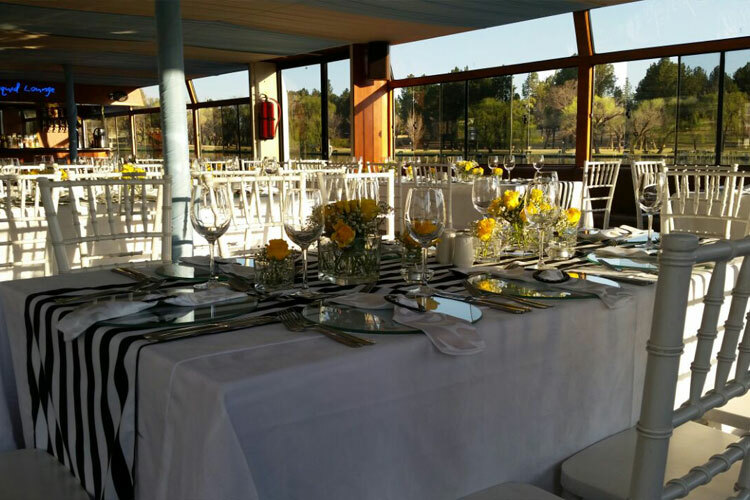 It is also an ideal venue for weddings, corporate functions, private parties and more. 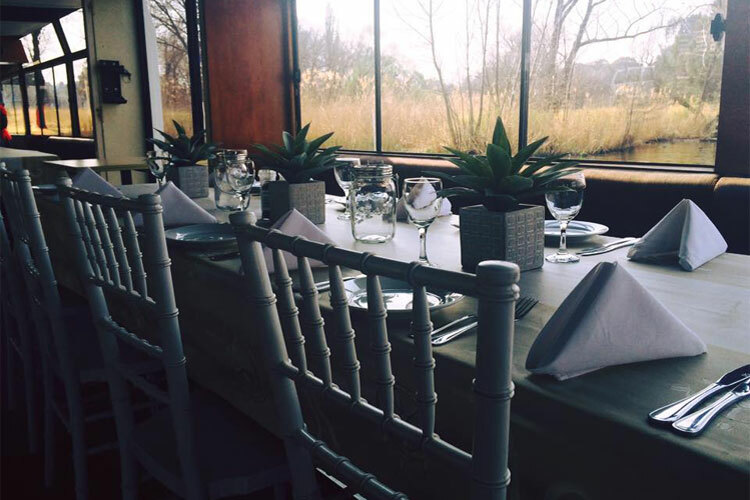 Are you looking for a venue in Vanderbijlpark or the Vaal Triangle to host a party for your birthday, anniversary, kitchen tea or other event? 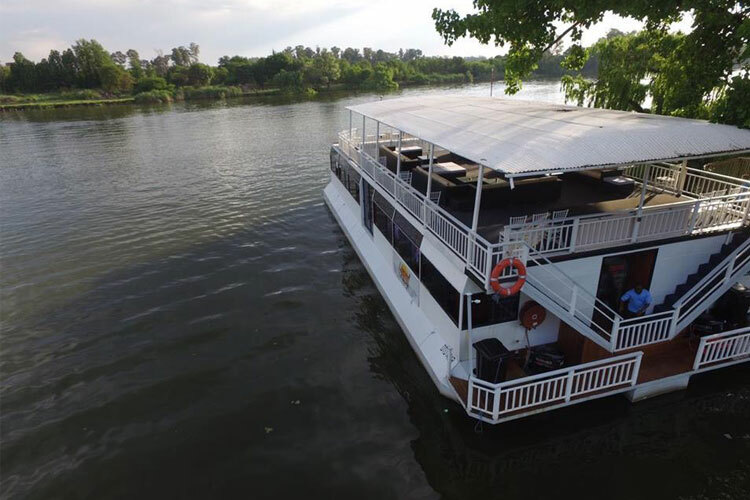 Don’t settle for a traditional party venue when you can book a River Cruiser, the Liquid Lounge, for your special occasion. 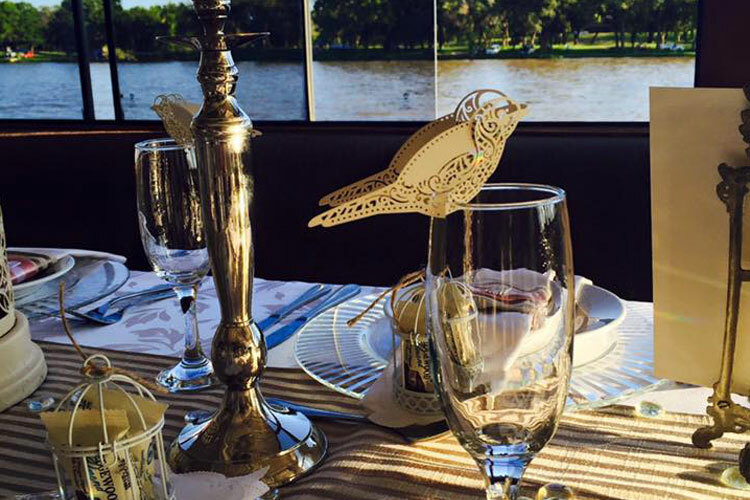 You and your guests will truly enjoy a day onboard our luxurious river cruise boat. 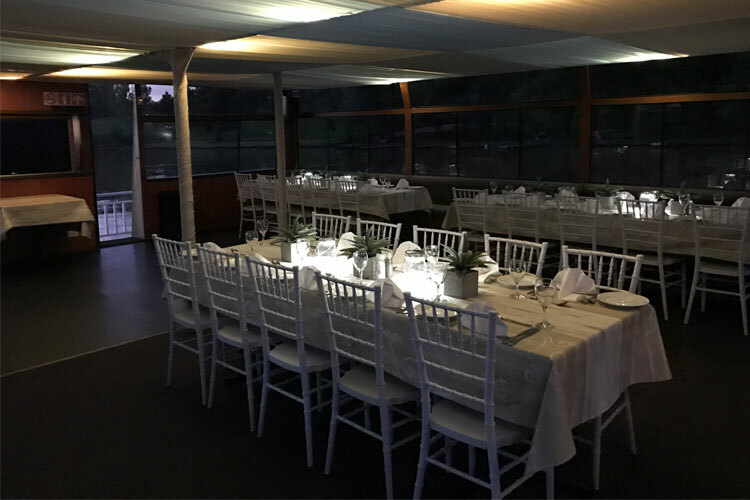 No matter what the occasion, we offer different options when it comes to catering on the Vaal River party venue. 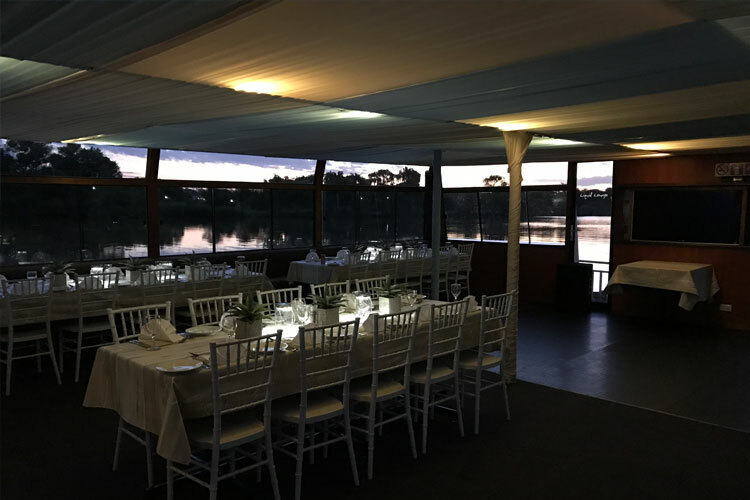 Enquire about our packages and offerings today – remember to book early to get the date you want! 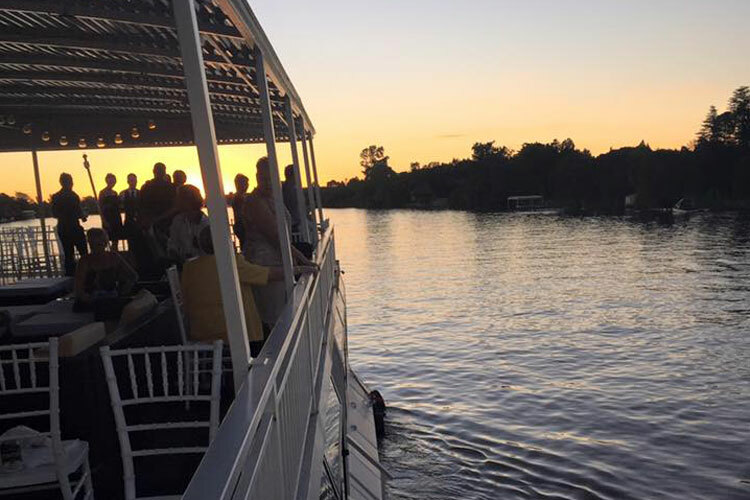 If you’re seeking a unique venue to host your wedding reception, look no further. 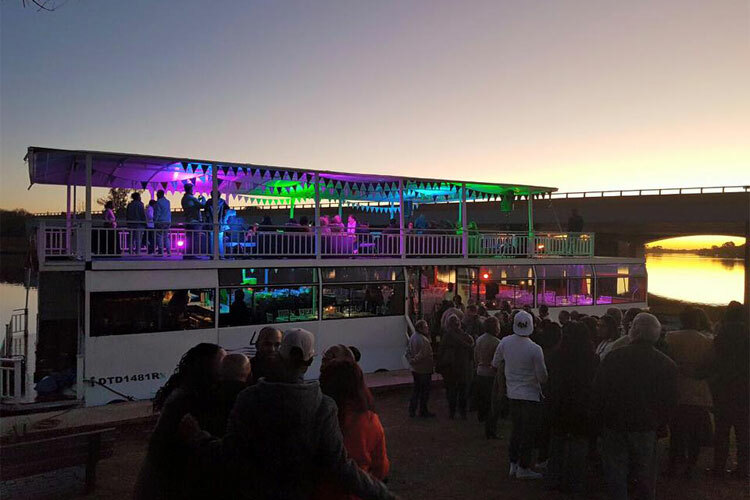 The Liquid Lounge is a cruise boat that offers a unique wedding venue on the Vaal River, and an excellent alternative to traditional wedding venues. 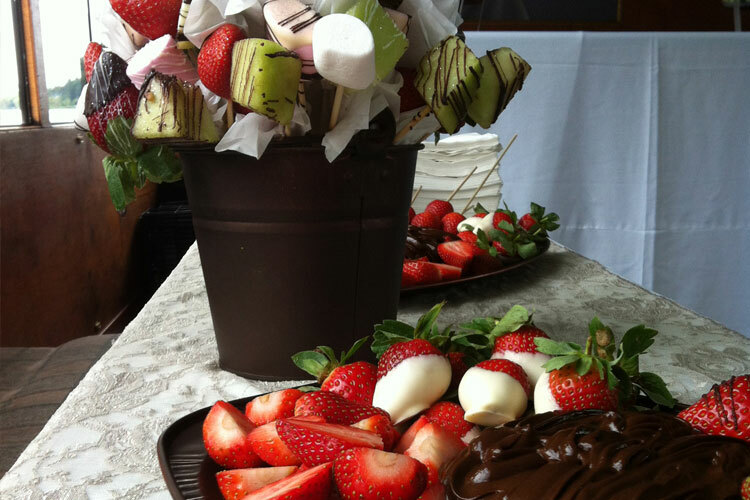 Your wedding day will truly be a memorable event! 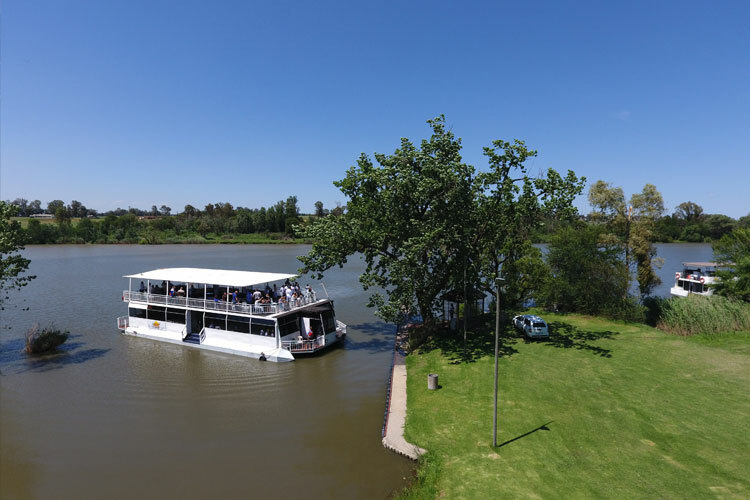 Cruise Down the majestic Vaal River with its naturally beautiful surrounds in the company of your closest friends and family. 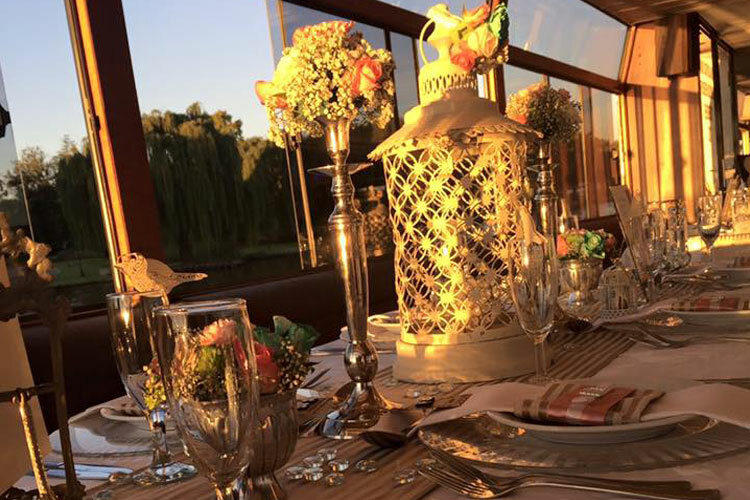 We will take care of every detail, from the decor to the catering, your wedding plans will be in good hands. 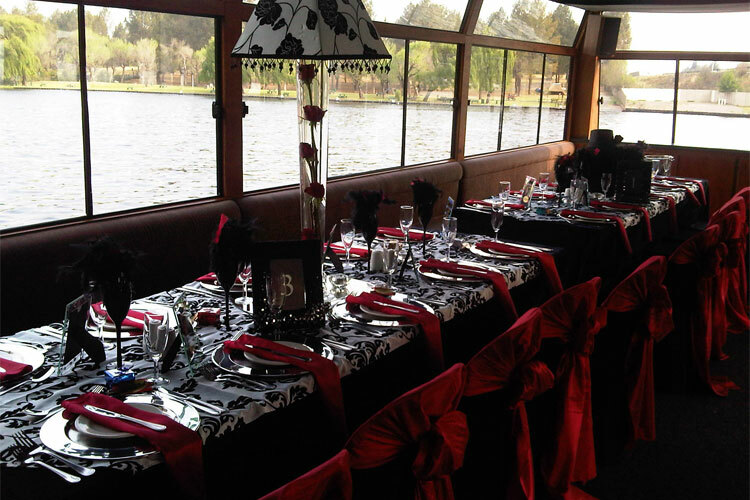 Make an appointment to see our beautiful River Cruiser and to book your wedding date with the Liquid Lounge today.